Posted on May 8, 2017 at 10:00 am. 4meats, and cleaning products, whose selections are minimal. Definitely a great place to get the basics, and you can go next door to the regular grocery store for produce. Uses boxes or bags at checkout. This is a chain health food store in southern Ontario. It caters to all kinds of shoppers, from the health-conscious to vegan to gluten free to organic-only consumer. They have grocery store-sized frozen and refrigerated sections, a good organic produce section, some organic and grass-fed meats, and lots of dry goods, catering to each dietary need. Some of the stores (including the Barrie and Burlington locations) have soup/sandwich/hot bar/smoothie serving locations, and the Burlington location also has an in-store bakery. The store locations vary in size and can tend to have slightly different products, but the selection is good. 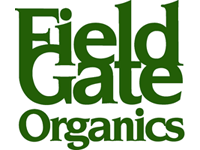 Located in the downtown market, Field Gate Organics is an organic butcher with a great selection of all-organic meats, including pork, beef, and chicken in many different cuts. Both frozen and fresh meats are available, with the frozen slightly discounted. The shop also sells a small amount of dairy, eggs, pizza dough, and ready-made soups (frozen), all organic. They do have a small organic produce section, but there are other vendors in the market with a better selection. There are monthly specials and other sales so you can shop for decent prices. Well worth a stop if you’re looking for organic meats. A mid-sized store, Quarter Master has a small organic produce section, small herbal section, large variety of organic flours and legumes, mid-sized dairy section, and small freezer, and lots of dry goods and supplements. The store also has a small freezer at the back containing meats; not necessarily organic meats, but more ethically-raised ones harder to find in regular grocery stores. Uses boxes or bags at checkout. Great for small appliances, exercise equipment, mattresses, bedding, personal care, even shoes. The appliances include dehydrators, grain mills, yogurt makers, and other appliances commonly used in making healthier food choices. Not so great a selection of foods, especially organic. They did have a small freezer section and a book section. Small butcher shop with a single freezer near the door containing organic beef and bison. Good selection of cuts for those two meats, including sausages. Planet Organic is the size of a small grocery store, with every typical section represented, but in more health-conscious choices. There was not much organic meat only one small section of beef, but plenty of grass-fed and ethically-raised. Overall, an excellent selection. Not a lot of organic, but has unique meats, refrigerated, produce, and dry goods sections, as well as books, hot and cold bar, and cleaning/living products. HUGE refrigerator and freezer sections, including things I’ve never seen before. Has store brand bakery items. Advertise themselves as selling organic foods. Their dairy section is extensive, and they sell organic chicken and pastured and hormone-free beef (though not organic). They have an extensive freezer and drinks section. They have a medium-sized produce section, lots of snacks, and a cafe/juice bar. A pleasant surprise in a small location. Although it doesn’t stand up to many of the other shops on the list, this store had small amounts of bulk foods, and some of it organic. No organic meats or bread here, but they did carry meats, produce, many other basic needs, and a few delicious surprises.